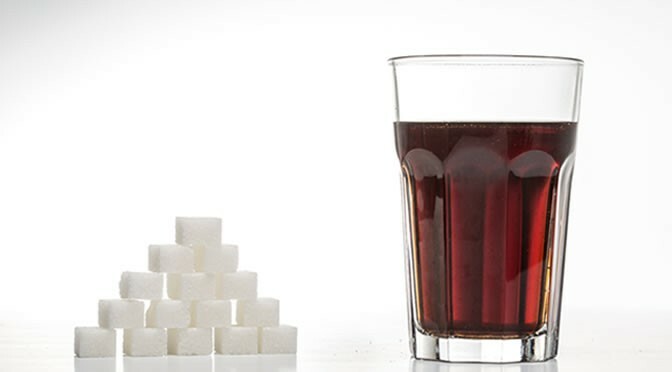 In 2014 each American consumed an average of about 27 pounds of high-fructose corn syrup. Fructose consumption can damage hundreds of genes. But the good news is that DHA — an omega 3 fatty acid — can reverse this damage, scientists have discovered. Fructose is a sugar commonly found in the Western diet. Most of the fructose in the American diet comes from high-fructose corn syrup or is consumed in sweetened drinks, syrups, honey and desserts. According to the Department of Agriculture, in 2014 each American consumed about 27 pounds of high-fructose corn syrup. In addition, most baby food and fruit contains fructose. However, the absorption of the fruit sugar is mostly slowed down by the fibre in fruit. On top of that there are other healthy components found in fruit which are important for the body and the brain. Our brain cell membranes naturally contain DHA but this amount is not enough to fight diseases. “DHA changes not just one or two genes; it seems to push the entire gene pattern back to normal, which is remarkable. “The brain and the body are deficient in the machinery to make DHA; it has to come through our diet. DHA strengthens synapses in the brain and enhances learning and memory. The study was carried out on rats. They were divided into three groups for six weeks. During this period one group only drank water with no fructose and no DHA. The second group consumed fructose water and a DHA rich diet. The other group received water with fructose equivalent to a litre of soda per day. The tests run on the rats showed that a high-fructose diet impaired the rats’ memory. However, the fructose and DHA group showed similar results to those that drank only water. This strongly suggested that the harmful effects of fructose were eliminated by DHA. The study showed that fructose had altered more than 700 genes in the hypothalamus (the metabolic control centre in the brain) and more than 200 genes in the hippocampus (a brain region for regulating memory and learning). The alteration in human genes could lead to conditions such as bipolar disorder, Parkinson’s disease, depression and other brain diseases. More tests on the rats also showed that those on a high-fructose diet had higher triglycerides, glucose and insulin levels. These are similar indicators associated with obesity and diabetes in humans. The study was published in EBioMedicine (Meng et al., 2016).